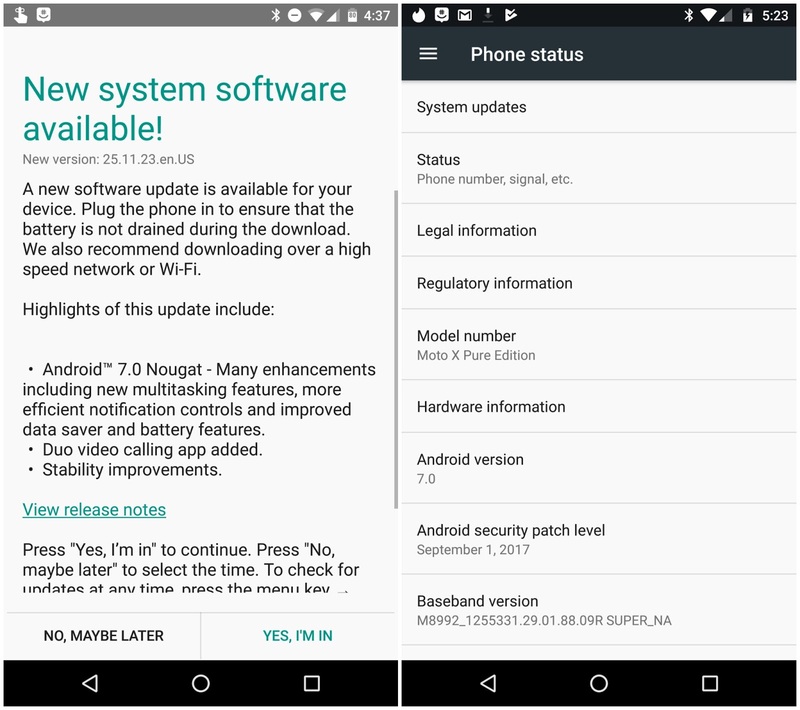 Moto X Pure Edition On T-Mobile Is Now Getting Nougat 7.0 - AndroGuider | One Stop For The Techy You! 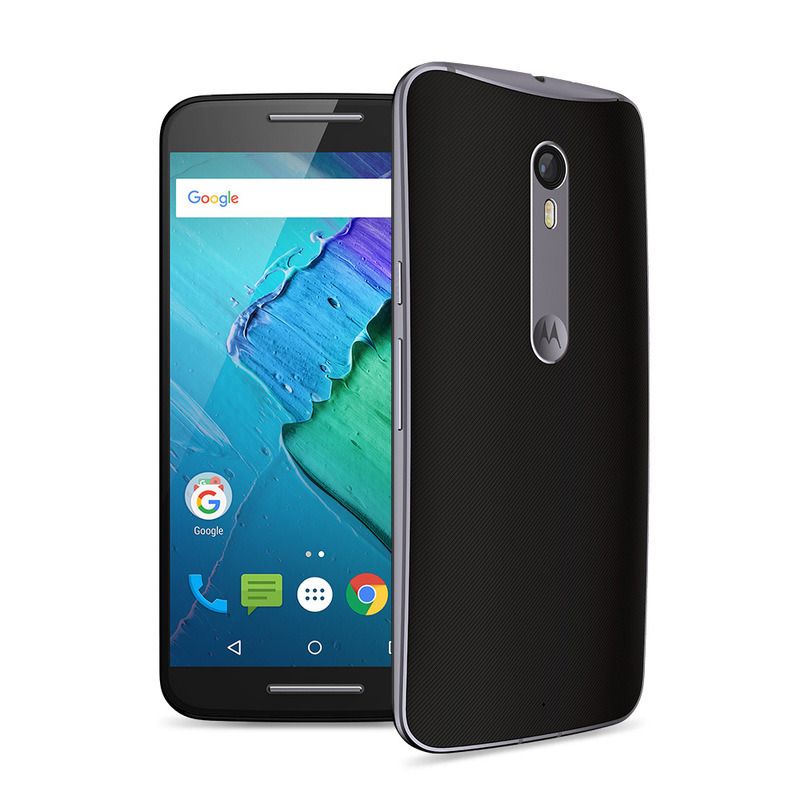 Considering the fact that the Moto X Pure was Motorola's flagship smartphone of 2015, Motorola was already late when it started rolling out Nougat to the device in August. The Lenovo owned company has now started rolling out Nougat 7.0 to the Moto X Pure Edition owners on T-Mobile. Motorola is known for keeping the software on its phones close to stock Android and the company has maintained its reputation with this update. There are no heavy modifications and the only bloatware (if you wish to consider it) is Google's video calling app Duo. Nougat 7.0 includes a bunch of new features like split-screen mode for multitasking, bundled notifications with support for quick reply, a refreshed quick settings panel layout, data saver mode and better battery life courtesy of the improved Doze mode. The version number of the update is 25.11.23.en.US. Instead of going for the latest November security patches, Motorola has bundled the September 1, 2017 security patch in the update. Since the X Pure wasn't listed by Motorola in the devices it will be updating to Oreo, I'm afraid to say that this is the last major Android upgrade the X Pure is going to see. You can still count on getting a couple of more quarterly security patches, but don't get your hopes high for a Nougat 7.1.1 update which the X Play (also released in 2015) got in June.